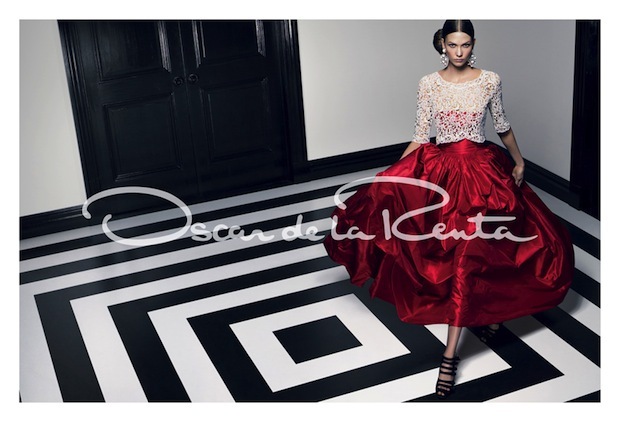 Oscar de la Renta has impeccable taste, he’s tapped my favourite glamazon for his spring/summer 2012 campaign. The bold campaign features Karlie’s signature death stare, incredible legs and bold colours against a geometric black and white floor; making for quite the statement. What do you think of the campaign?